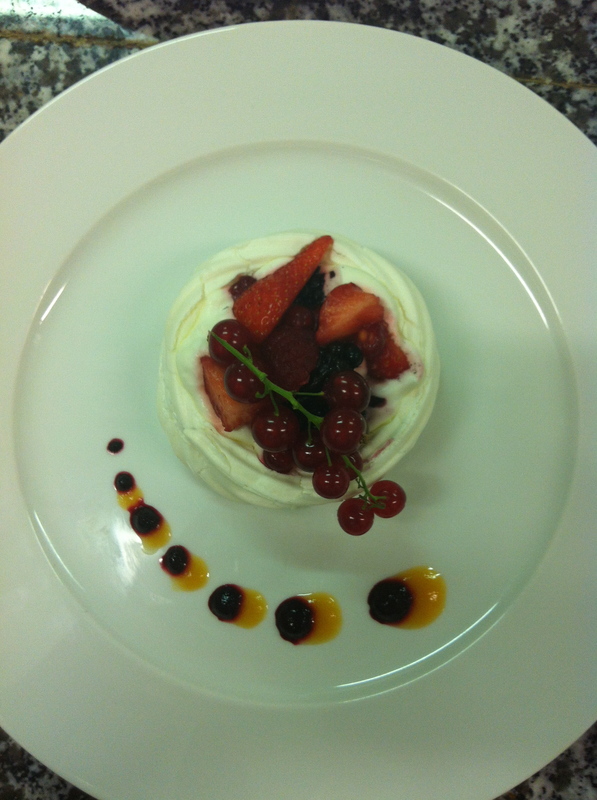 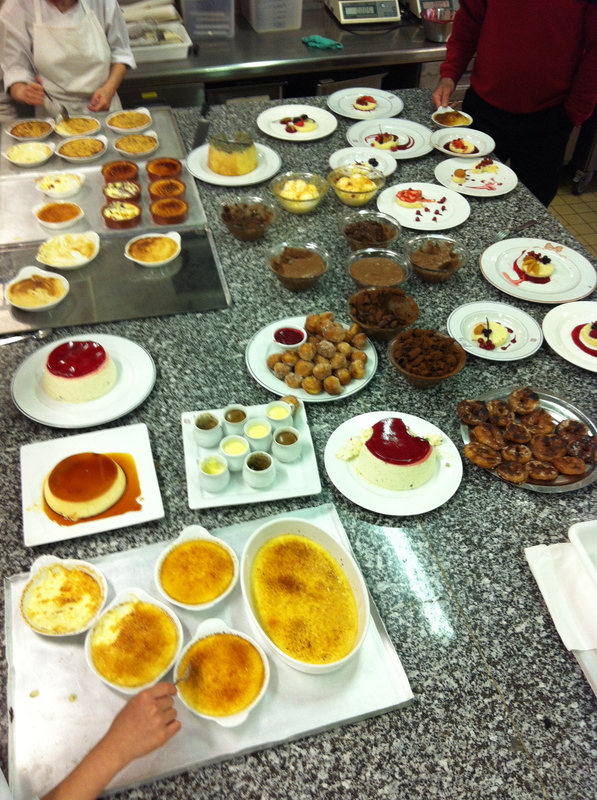 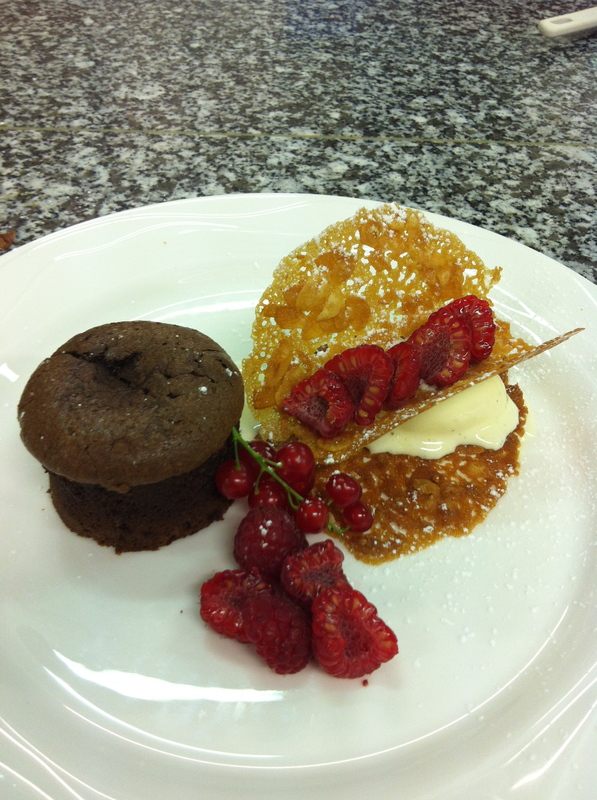 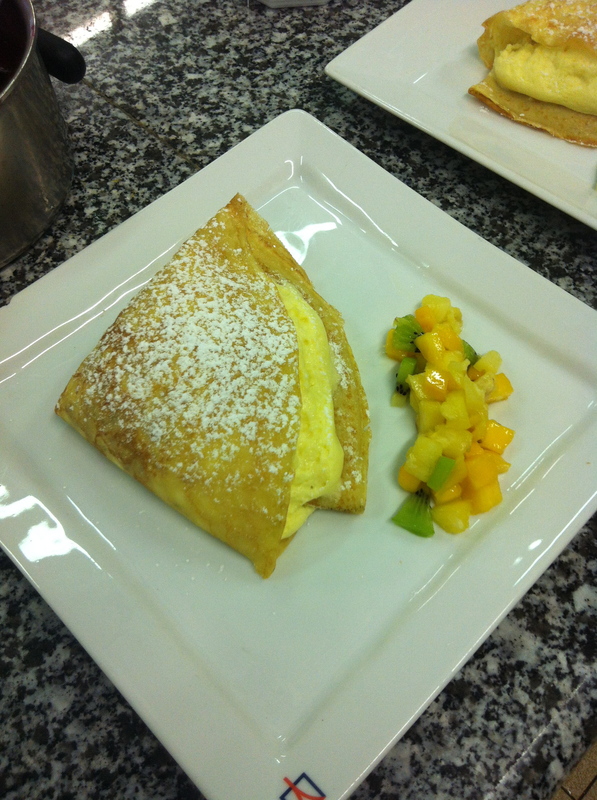 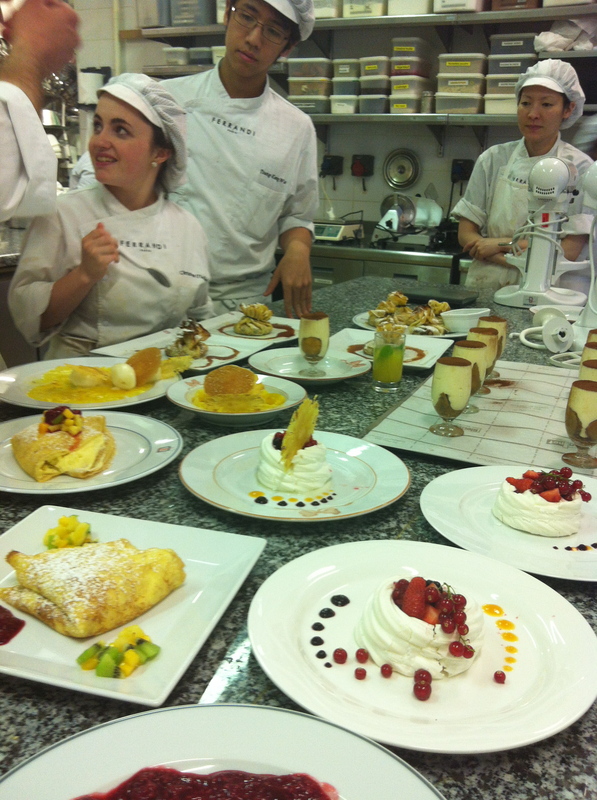 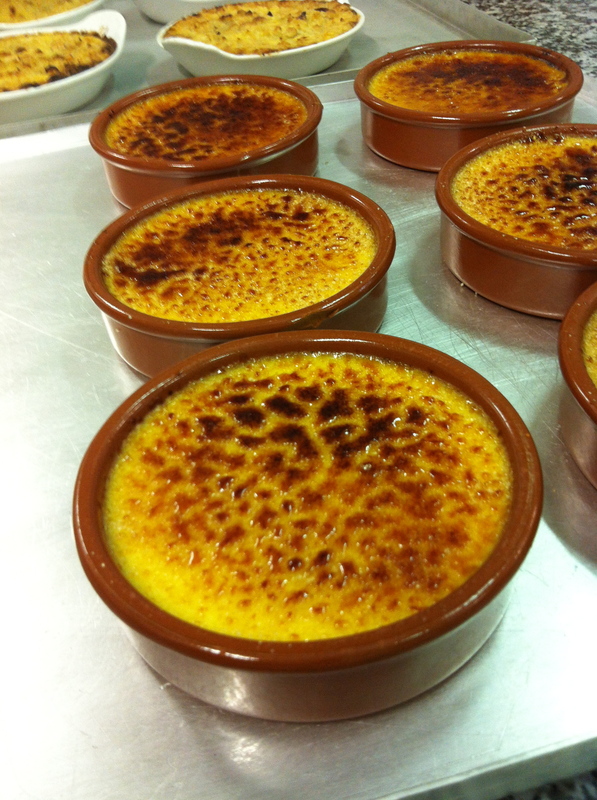 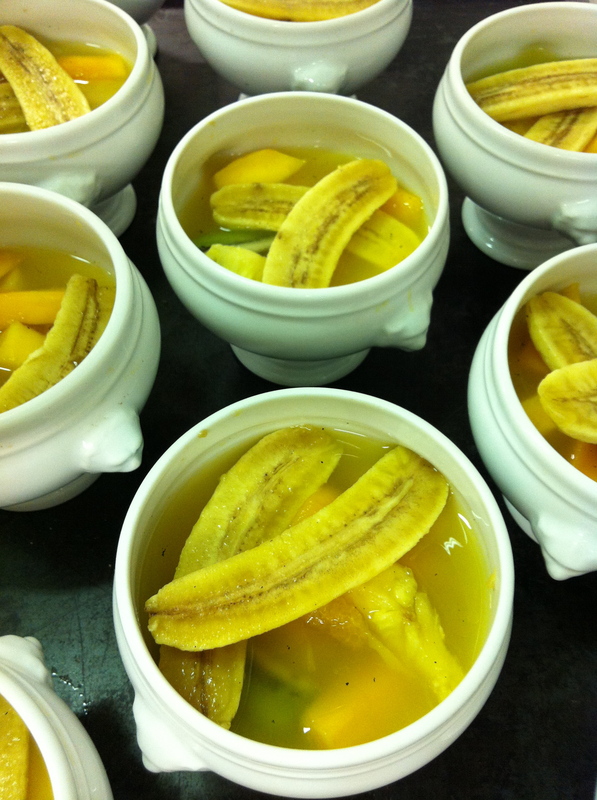 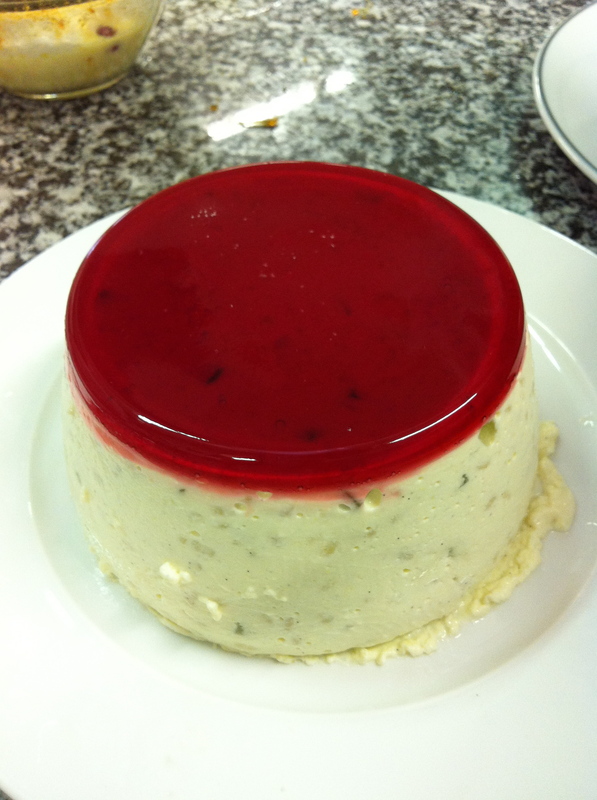 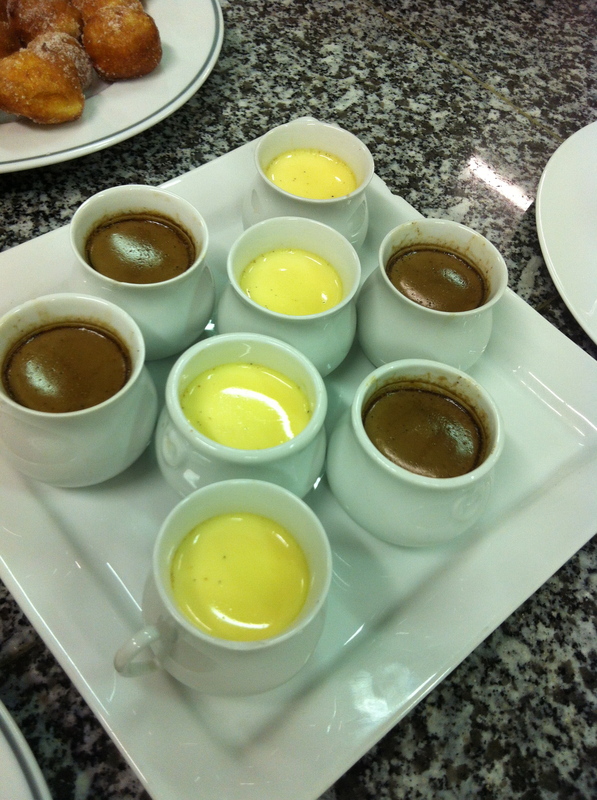 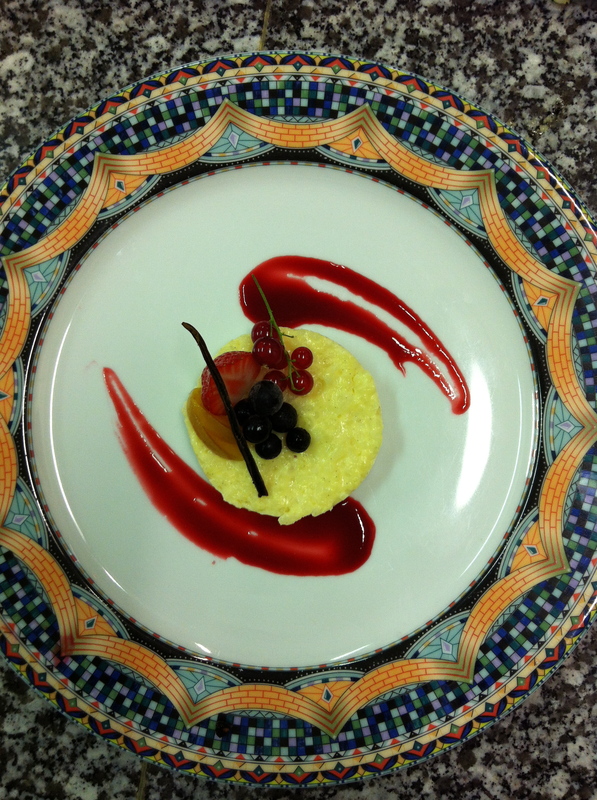 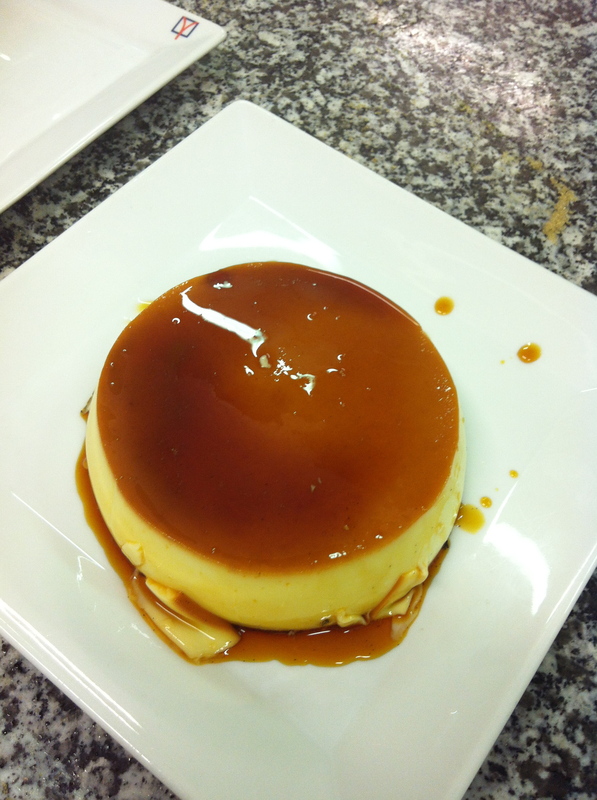 Each student has their own plated dessert to make. 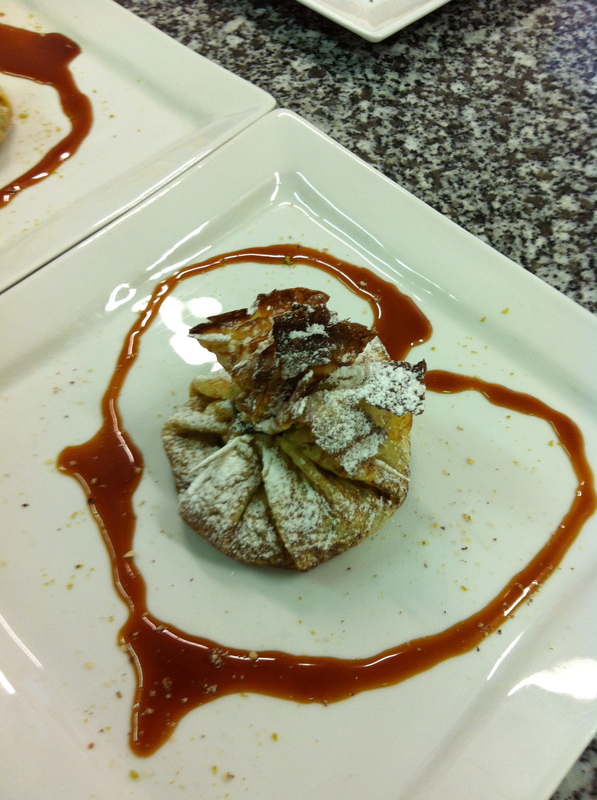 Aumonieres aux Pommes by Nicole & Debbie. 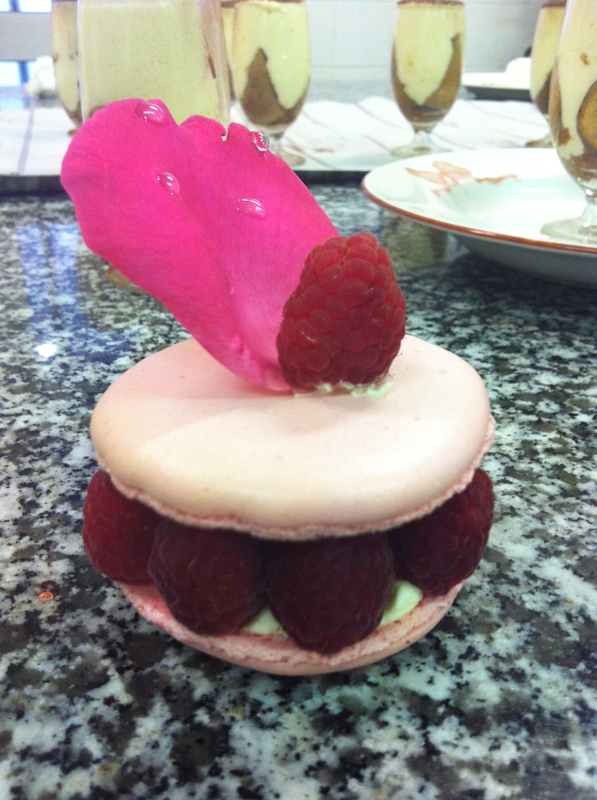 ‘Ispahan’ Macaron Framboise Letchis a la rose by Arshiya. 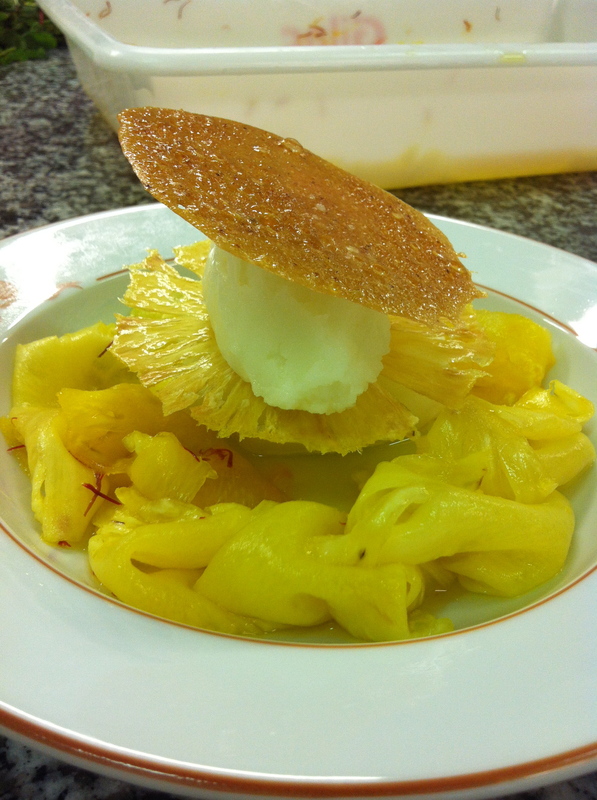 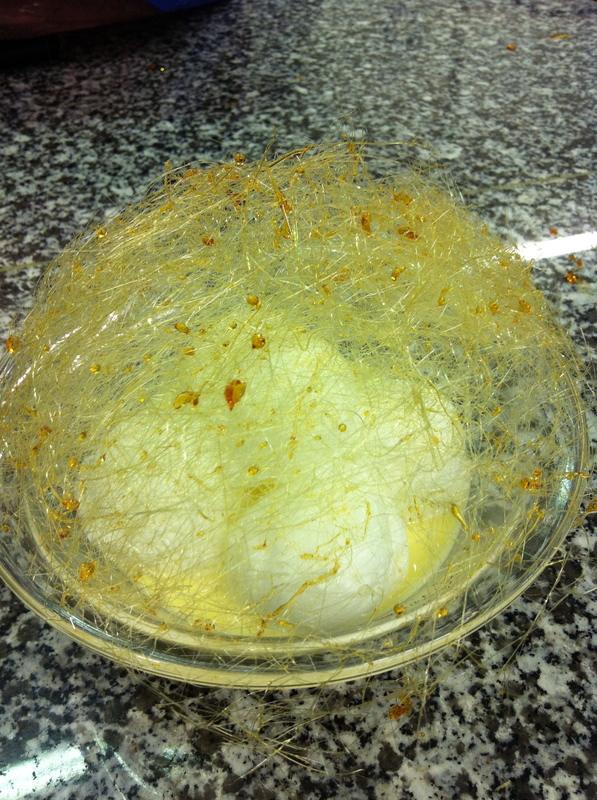 Carpaccio d’ananas and Lime (or Citron) Sorbet by Jacek. 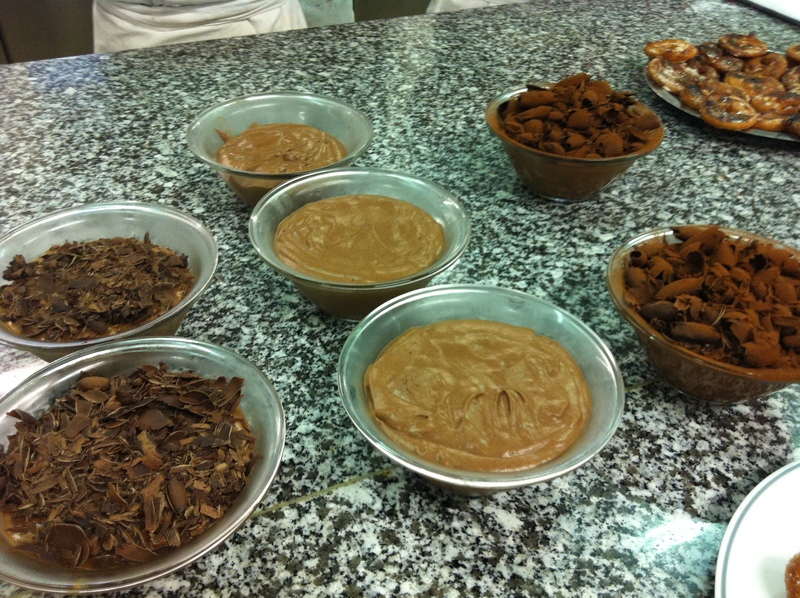 Marmites Lutees Exotiques by Saba.